With a design language that blends with today's modern interior, the 4-in-1 CYBEX seating system was designed to find a place at the table long after your child has outgrown the need for its support. Reduced shapes, clean lines, a single colour and high quality materials blend with smart functions to take your child from birth through childhood and beyond. Suitable from birth with the 'bouncer nest', from 6 months to 3 years as a highchair with the 'baby set' and from 3 years as a comfortable chair with an adjustable footrest for children and adults alike, the CYBEX highchair is designed to last. Transform the chair within seconds - have a toddler visiting? Just attach the removable Baby Set. Need an extra chair for a dinner party? Simply remove the Baby Set and adjust height and depth of the chair to suit your guests. The CYBEX Highchair offers variable modes that suit everyone's needs. 4IN1 HIGHCHAIR - The lemo offers a sustainable choice that grows with the child for as long as you like. A bouncer nest makes it suitable from birth, adjust it to a classic highchair from 6 months and remove the attachments when your child is older for a chair designed to meet the lifestyle and functional needs of all family members. GROWS WITH YOUR CHILD: The seat of the highchair was designed with a growing child in mind. A smart one-hand adjustment feature allows stepless height adjustment and four depth positions in seconds. 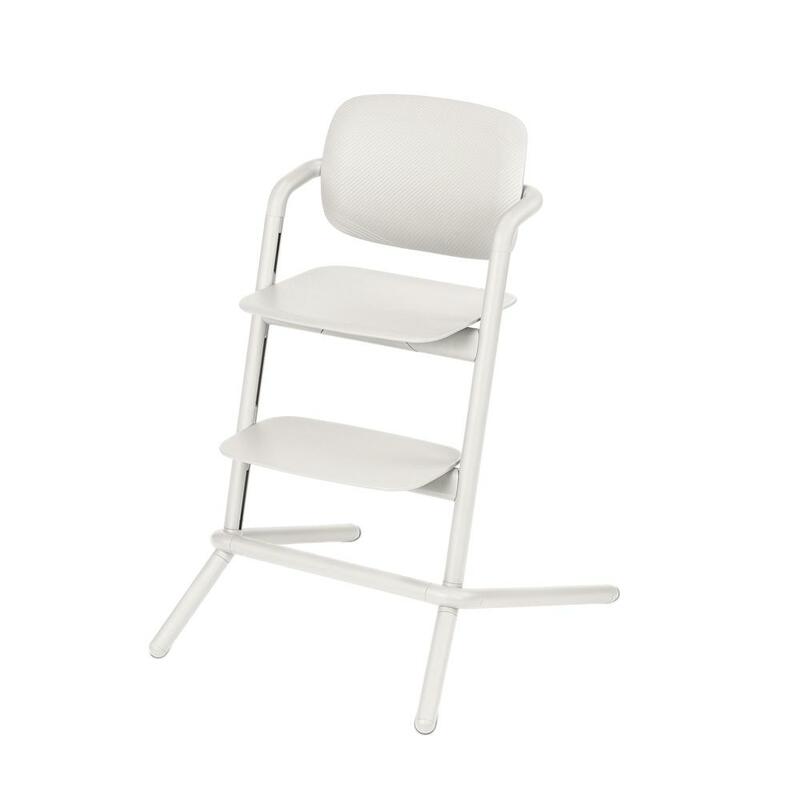 This ensures optimized ergonomic seating as your child grows and offers a perfect fit for people of any age afterwards. TIPPING PREVENTION SYSTEM (T.P.S. ): the highchair is designed with anti-tilt wheels, which substantially decrease the risk of the highchair tipping over. Dining room? Patio? Kitchen? The highchair's wheels increase your mobility around the house easily move it where you and your child are most comfortable. ERGONOMIC DESIGN: The rounded edges of the highchair's baby set provide comfortable seating and ensure an easy entry and exit this makes any mealtime more enjoyable.